Shane ‘Shakey’ Byrne is said to be in good spirits after undergoing successful surgery to stabilise a number of spinal fractures as he continues to recover following a crash at last week’s Snetterton test. 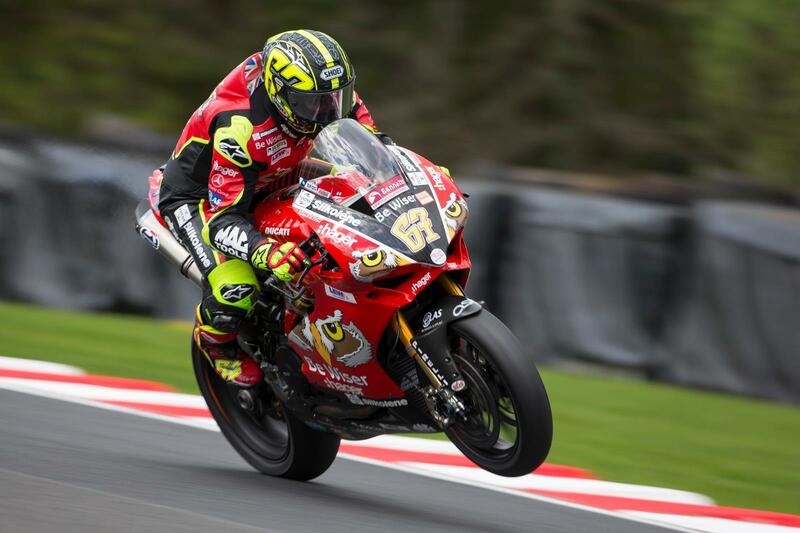 The six-time Bennetts British Superbike Champion was hospitalised after the fall early in Thursday’s test session with a range of injuries, including fractures to both his neck and back. Yesterday, he underwent surgery at the Norfolk & Norwich University Hospital with a Byrne family statement confirming surgeons were happy with how the procedure went. Byrne’s wife, Petra, confirmed on Tuesday morning that he was awake, talking and in good spirits after the operation although emphasised there is a long road ahead as he continues to recover. The family have requested that fans respect their privacy after several instances in which well-wishers tried to visit the Be Wiser Ducati rider in hospital. “Following the incident at Snetterton last week, Shane underwent surgery on Monday (21/05/18) to stabilise his spinal fractures,” the statement read. “We are happy to say the surgeons are pleased with how the procedure went. “Shane is alert and in good spirits, but there is still a long road ahead in the recovery process. He will remain under close observation in the Norfolk and Norwich University Hospital Critical Care Complex over the next few days before undergoing further treatment.